Sony’s new a9 full-frame mirrorless camera is described by the company as “groundbreaking”, and as the “…most technologically advanced, innovative digital camera that Sony has ever created”, which is all a big call, but the features and specification certainly give some credibility to those claims. The a9’s mirrorless layout combines with the world’s first full-frame stacked CMOS sensor (24.2 MP resolution) to offer blackout-free continuous shooting at up to a mighty 20fps for up to 241 RAW/ 362 JPEG images. Silent, vibration-free shooting at speeds up to 1/32,000 sec. 693 Point focal plane phase detection AF points with 60 AF/AE tracking calculations per second. Extensive professional features including Ethernet port for file transfer, Dual SD card slots and extended battery life. 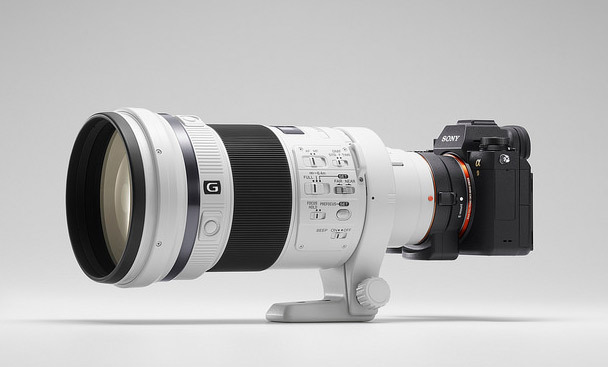 Five-axis in-body image stabilisation with a 5.0 step shutter speed advantage. 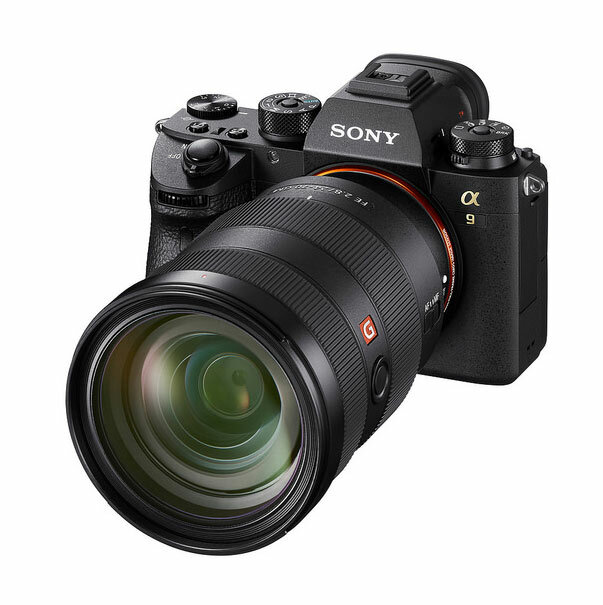 The new 35mm full-frame stacked Exmor R CMOS enables data speed processing at up to 20x faster than previous Sony full-frame mirrorless cameras. The sensor enables an ISO range of 100 – 51,200, expandable to 50 – 204,800. It’s paired with a new, upgraded BIONZ X processing engine and front-end LSI that maximises overall performance. This speed and silent shooting capability are combined with a focusing system that features a 693 phase detection AF points. 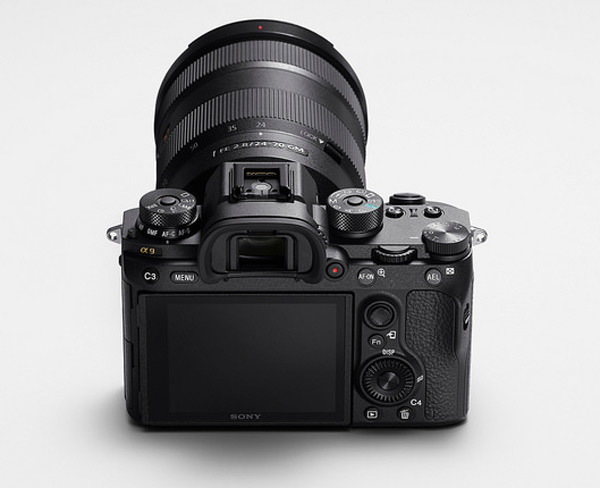 The a9 also features a vibration free, fully electronic, completely silent, anti-distortion shutter with absolutely no mechanical mirror or shutter noise. To ensure maximum usability and reliability, the camera features a new Z battery with approximately 2.2x the capacity of W batteries, as well as dual SD media card slots, including one that supports UHS-II cards. An Ethernet port (wired LAN terminal) is available as well, and there are a wide variety of new settings, controls and customisability options that are essential for working professionals. The camera’s new AF system tracks motion with higher accuracy than ever before, with the ability to calculate AF/AE at up to 60 times per second, regardless of shutter release and frame capture. Further, when the shutter is released while shooting stills, the electronic viewfinder functions with absolutely no blackout, giving the user a seamless live view of their subject at all times. This feature combines all of the benefits of an electronic viewfinder with the immediacy and “in the moment” advantages of an optical viewfinder, and is available in all still image modes including high speed 20 fps continuous shooting. The a9 features an all-new, high-resolution, high-luminance Quad-VGA OLED Tru-Finder with approximately 3,686k dots for extremely accurate detail reproduction. The new Tru-Finder, which is the highest resolution viewfinder Sony has ever incorporated in an Alpha series camera, features an optical design that includes a double-sided aspherical element. The EVF also utilises a ZEISS T* coating to reduce reflections, and has a fluorine coating on the outer lens that repels dirt. This all adds up to a luminance that is 2x higher than the XGA OLED Tru-Finder from the a7R II. The frame rate of the Tru-Finder is customisable, with options to set it for 60 fps or 120 fps. As expected, the a9 is a capable video camera, offering 4K (3840x2160p) video recording across the full width of the full-frame image sensor. When shooting in this format, the camera uses full pixel readout without pixel binning to collect 6K of information, oversampling it to produce high quality, 4K footage. Additionally, the camera can record Full HD at 120 fps at up to 100 Mbps, which allows footage to be reviewed and eventually edited into 4x or 5x slow motion video files in Full HD resolution with AF tracking.